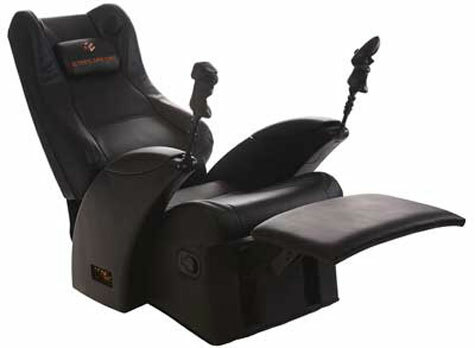 It will give an experience as if you sitting some where on wool, really very soft and smooth and most probably you may start saying a childhood poem ‘Baba Baba black sheep’. 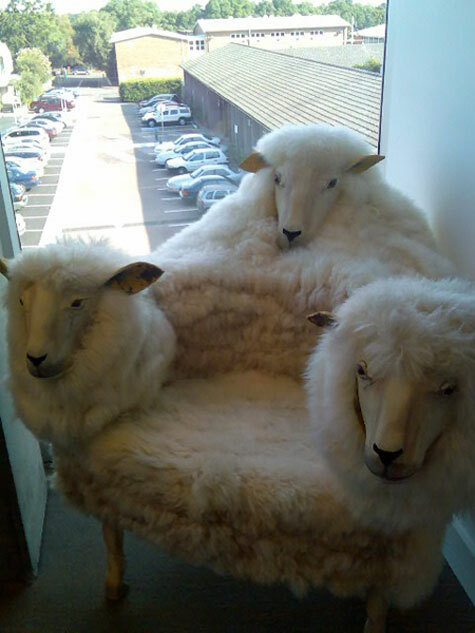 It’s a freaky chair having three silent sheep faces - two at arm side and one at backside. First it gives you an impression as if three sheep’s are standing together but it’s just like a simple chair dear. 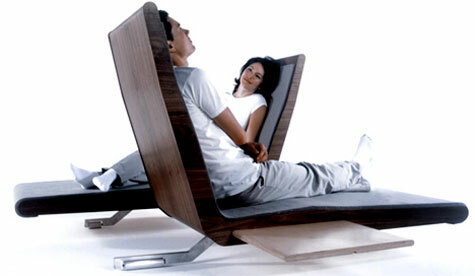 I assume that freaky chair is created for those people who love to have some animal kind of environment in their house. But be aware of PETA before having such kind of animal fur type of chair! 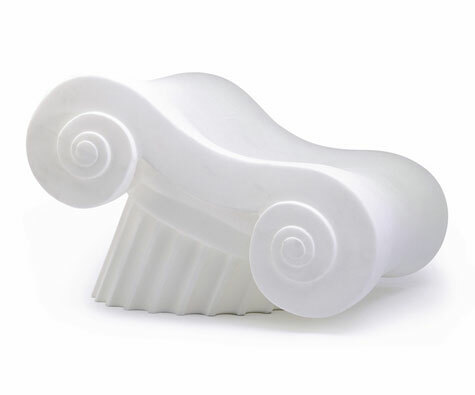 If you love classics as much as we do, you will love Capitello. 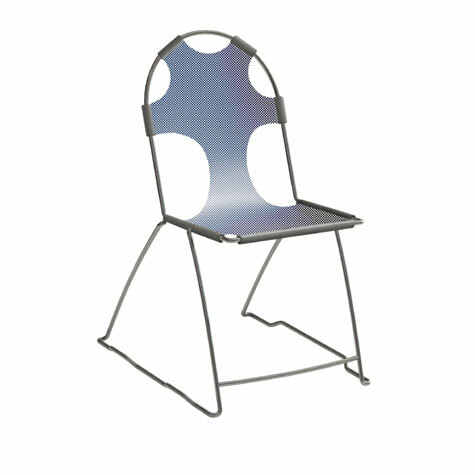 Capitello can be used for seating or as a stand alone sculpture, indoors our outdoors! 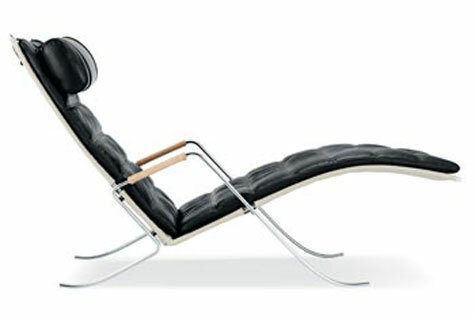 This cult classic from 1971 adds a witty accent to any indoor and outdoor space: lounge, terrace, cafe, waiting room. Capitello came to international attention in 1972 with the new york exhibition ‘italy : a new domestic landscape’ at the MoMa - museum of modern art. 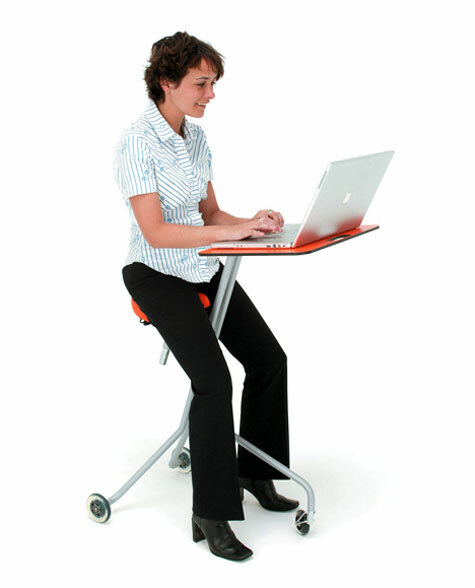 It seems multipurpose furniture really is the trend of 2007. 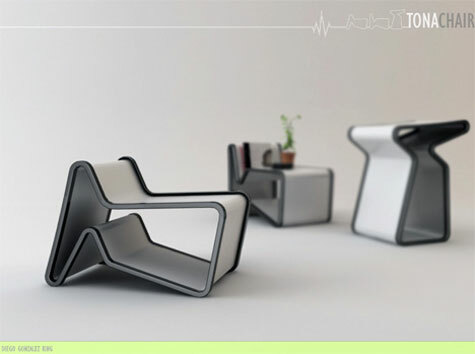 Take for instance the Tona Chair designed by Diego Gonazalez King. 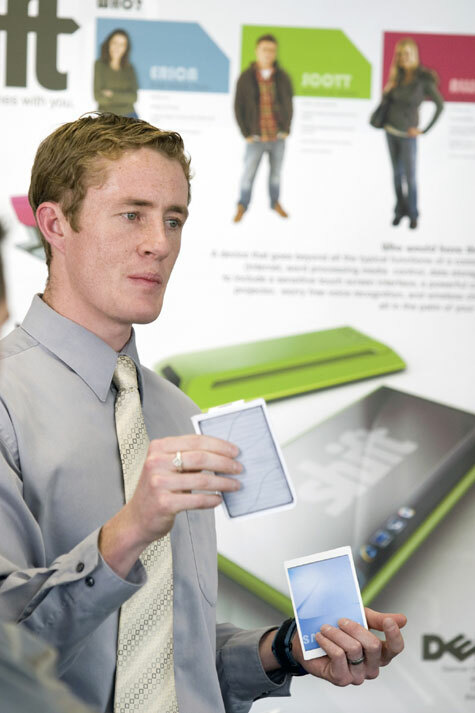 Its unorthodox shape serves a purpose, actually two purposes. Flipped one way, it’s a chair. Flip it again and it makes for a unique end table. Sometimes you need an extra chair and sometimes you need a table. 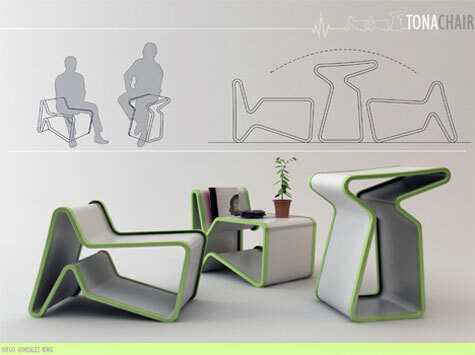 These modern chairs can be either or depending on your needs. 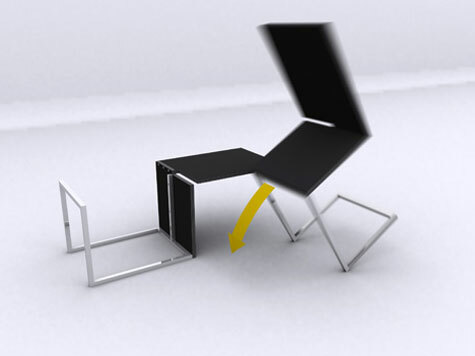 By simply pushing the two chairs together they transform into a table. Each chair has a notch to slide in one another. Now unused seating has some other place to go. When you’ve got visitors and need an extra chair or two you simply pull them apart.